Track & Monitor Your Children: Pinpoint your child’s location using the Internet or these tracking devices. Give your kids a watch or cell phone, and monitor them from any computer or hand held tracker. Sometimes even the best parents need help keeping track of their children. The stress and panic associated with losing a child can be tremendous, yet it can be alleviated using technology and education. Whether your kids are in the back yard, on the way home from school, or at the shopping mall, you can track them with GPS and RF technology. Have you ever turned around and realized that your child has disappeared? What makes it critical, is that once missing, you have no way of knowing if your child is safe, simply wandered off, or if they need any emergency assistance. Children have a natural urge to explore and parents have a natural desire to know where their children are. These devices can save lives and eliminate the unknown. These GPS and RF Locators were developed to help you determine your child’s location in minutes. These locators help keep loved ones safe by combining patented technology with the U.S. Department of Defense’s multi-billion dollar Global Positioning System (GPS) satellites plus the largest 100% digital, nationwide PCS wireless network. Set a geo-fence or safe-zone on the device. Place the device on your children or child you want to track. When the person enters or exits the safe-zone your hand held tracking unit will automatically notify you and start tracking. It can also be set to alert the person that they’ve traveled too far. Now you can have peace of mind 24 hours a day while you and your child are the high-tech envy of the neighborhood! 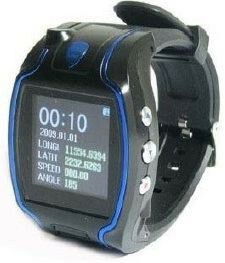 Our kid tracking devices are very dependable and the market for them makes them very affordable.